Art library explorations and art librarian musings are currently flooding my hard drive desperate to get out, if only onto this blog. 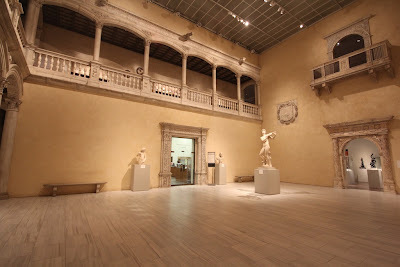 Institutions to date vary from the august Watson Library at the Metropolitan Museum of Art to the experimental materials collection at Belgian arts-lab FoAM. From the Riot Grrrl collection at NYU's Fales Library and Special Collections to the custom classification system at the Bauhaus Archiv Library in Berlin. Librarians across two continents continue to generously offer their time and their collections to this blossoming project, and I'm looking forward to the chance to properly document these bibliographic expeditions. As I realised back in NY, it is perhaps too ambitious to research and tour amazing libraries, write about these experiences, design and maintain a quality web presence, take in the incredible cities in which we are visiting, adequately parent a six month old and a two year old while maintaining a healthy relationship with my partner (who has his own projects)- all while on the road and changing apartments every couple of weeks. Instead I will take time to enjoy the cities we pillage for art, culture, experience and memory. I will take the children to the playground without the laptop. I will also take time to visit the bibliographic centres of art institutions but I will sort out my notes, photos and reflections when we finally return to roost in Oz. The artlibrarycrawl continues... but it's field work only, for now. Field work this week includes a visit to a special collection of the Kunst Universitat Linz, in Upper Austria. It's their catalogued collection of chairs 1800-1995 for design studies. A Chair Library! Good times.